Wasserman Media Group -- a global sports, entertainment, and marketing company -- has adopted visual search technology to scan game and event footage for specific objects, logos or scenes in minutes rather than weeks. The technology helps to find and verify earned media potential. John Harper, SVP of consulting at Wasserman Group, views the technology as a way to identify sponsorship possibilities that don't exist at the time. For example, scanning event video might identify areas that a brand could post their logo or name. He calls it "looking for areas where the brand might not be obvious sponsor integrations," such as the area in front of a basket ball court. Originally developed by Nervve for use in the U.S. military and intelligence community such as the Department of Defense and law enforcement, the technology has found its way into the advertising industry. It provides access to visual data, videos and still images, and a deep interpretation of the results through analysis, comparing the estimated value of exposure across numerous brands and a variety of properties and events. The technology, which scans an hour worth of video content within five seconds, reports the clarity of the image, how long it remained on the screen, where it appeared, and more. It measures anything with a pixel. It does not crawl the Web, but rather specific sets of video content on social networks, YouTube, and other types of recorded images. Harper also sees the ability to identify objects quickly and ability to put some context around the images through data as two important areas for visual search. 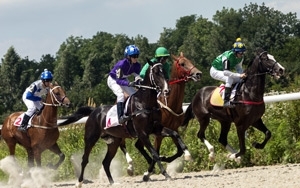 For instance, Wasserman analysts reviewed 14 hours of footage over two days of horse races for one new event sponsor to understand the full earned media potential of the return on specific assets. "Through looking at the footage, we learned that this brand did not get that much exposure on the broadcast, and having the information allowed us to change how we analyzed things," Harper said. "We reran comparative analytics around other partners in the event to see if this new partner was consistent or an anomaly." It turns out the big opportunity to highlight the brand at the end of the race was missed. Within two weeks, Harper said Wasserman went back to the horse race event sponsor, which was one year into the sponsor's three year deal, with findings and suggestions on how to gain the correct media value from the investment. Nervve, a privately held company, receives backing from investors HC2 Holdings Inc., and In-Q-Tel, among others.